And in fact, while photographs of their children abound, the earliest photograph yet uncovered of George and Leota together was taken twenty-six years later. Leota (Fenton) Thoma and George Thoma, Sioux City, Iowa, 1928; digital image 2014, privately held by Melanie Frick, 2019. Collection courtesy of David Adam. Another, a sharper yet more serious snapshot, was taken perhaps a decade or more after that. Leota (Fenton) Thoma and George Thoma, 3500 Block of Nebraska Street, Sioux City, Iowa; digital image 2014, privately held by Melanie Frick, 2019. Collection courtesy of David Adam. George and Leota had spent their first few years of marriage together not as Mr. and Mrs. Thoma, but as Mr. and Mrs. Neilson, before abruptly discarding this mysterious alias. 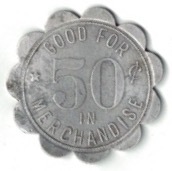 They had moved no less than half a dozen times within their first quarter-century together, first as newlyweds from Ashton, Iowa to Center, Nebraska, then to Sioux City, Iowa, then to Bassett, Nebraska, then to Decatur, Nebraska, then to Scribner, Nebraska, and finally back to Sioux City. 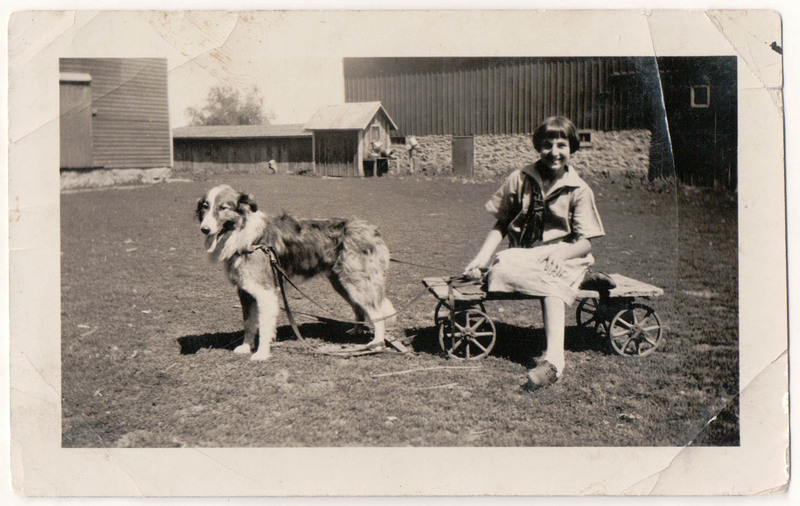 They had taken risks and faced failure as aspiring homesteaders and entrepreneurs. But they had succeeded in raising four children together: Fenton, Fern, Norma, and Betty. After years of effort to find a place to call home, they settled into a comfortable life together in Sioux City surrounded by their children and grandchildren. 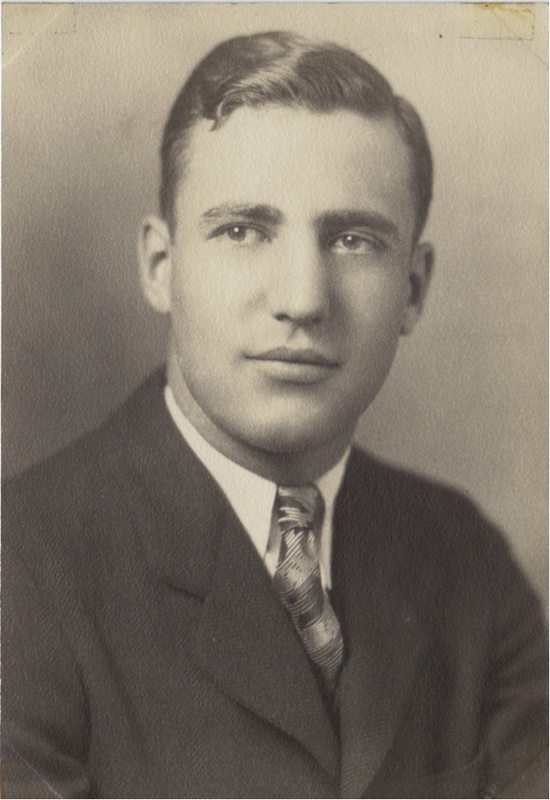 This entry was posted in Uncategorized and tagged 1920s, 1930s, family history, genealogy, Iowa, Neilson, Sioux City, Thoma on March 26, 2019 by Melanie Frick. Fern wears heels and stockings, and her on-trend long sleeved, drop-waist dress hits just below the knee. 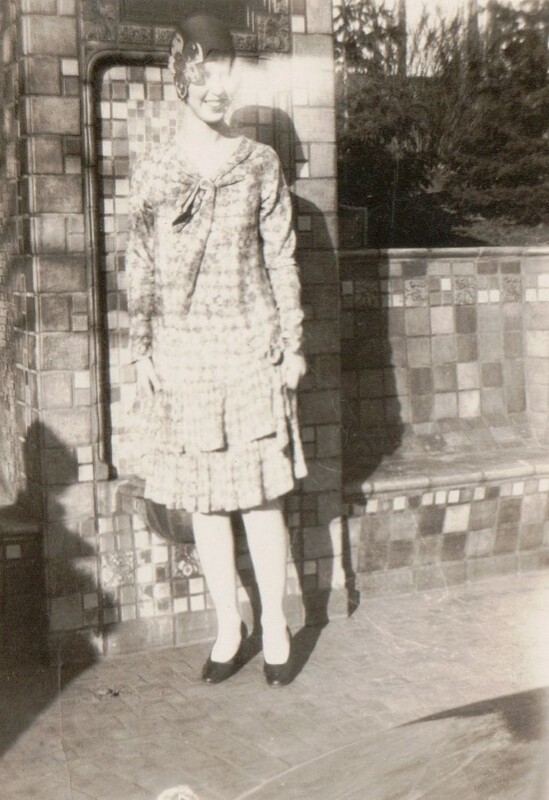 Its geometric pattern is indistinct in the photographs, but it features a sailor-esque tie at the v-neck and two rows of ruffles at the hem.3 Her long wool jacket, worn in all but one of the photographs, has a warm fur collar; her two female friends also wear fur-trimmed jackets. Fern’s bob is neatly concealed by her stylishly adorned cloche hat.4 Jerry is smartly dressed as well, wearing a wool suit with a bow tie and a straw hat, his outfit nearly identical to that of his friend’s. His pants, cuffed at the hems, are so wide and loose that they appear to almost skim the grass; they look much like the ready-made “Oxford Bags” that became popular in the mid-1920s. 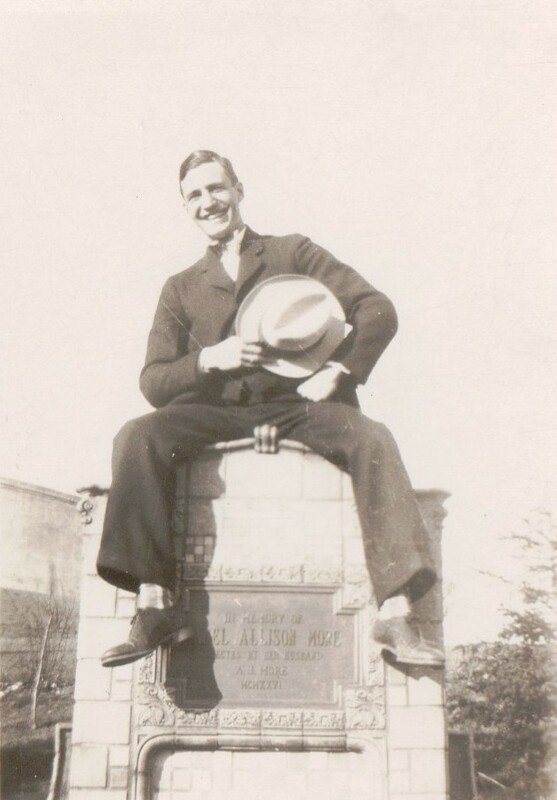 This entry was posted in Photograph Analysis and tagged 1920s, Adam, antique photograph, family history, genealogy, Grandview Park, Iowa, Sioux City, Thoma, vintage photograph on April 30, 2018 by Melanie Frick. 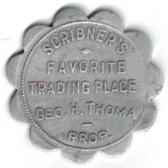 “Scribner’s Favorite Trading Place” token, Scribner, Nebraska, 1922-24; privately held by Melanie Frick, 2017. This entry was posted in Uncategorized and tagged 1920s, family history, genealogy, historic newspapers, Nebraska, Thoma on July 31, 2017 by Melanie Frick. 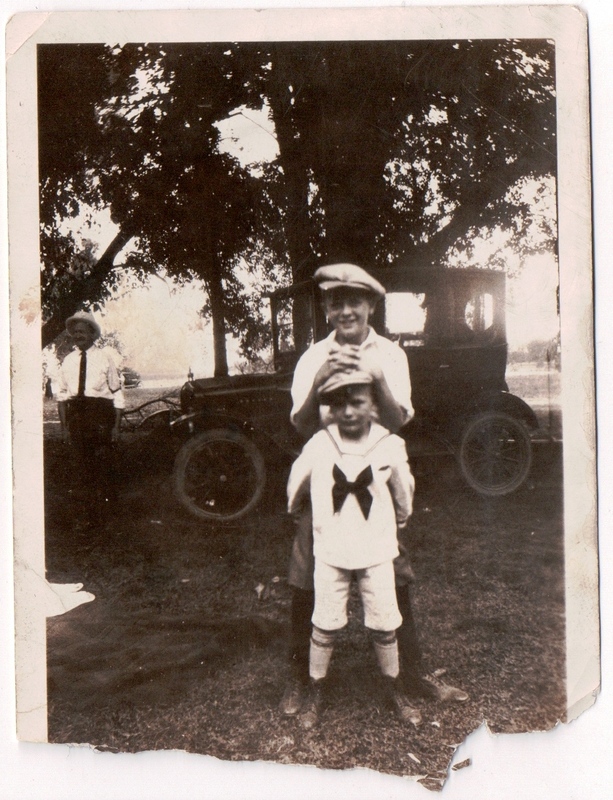 It might have been a late summer’s day when brothers Roy and James Walsted of Sioux City, Woodbury County, Iowa posed for this snapshot circa 1924. Six years apart in age, Roy was perhaps twelve and Jim perhaps six when this photograph was taken some ninety years ago.1 The park-like setting and the blanket at their feet suggest that the occasion may have been a picnic. Classic car aficionados could likely date the vehicle parked behind the boys. Roy Louis Christian Walsted (back) and James Herman Walsted (front), Sioux City, Iowa, ca. 1924; digital image 2015, privately held by Valene Petersen, 2015. I have to wonder who the man off to the side of the photograph could be. I have only seen two small snapshots of Roy and Jim’s father, both of which were taken late in his life. (I suppose there is a third if I count a postmortem photograph of him at his own funeral.) From those, I know that he was a man of slight build, but beyond that, I have no way of telling whether this gentleman in a straw boater hat and rolled shirtsleeves is in fact James Jacob Walsted or not. If this picnic was a family affair, perhaps the boys’ mother, Kathrine, was behind the camera. This charming snapshot is one of a handful of photographs that I have in my digital collection of the Walsted brothers and their parents, both immigrants who came to Iowa from Denmark in the early twentieth century. 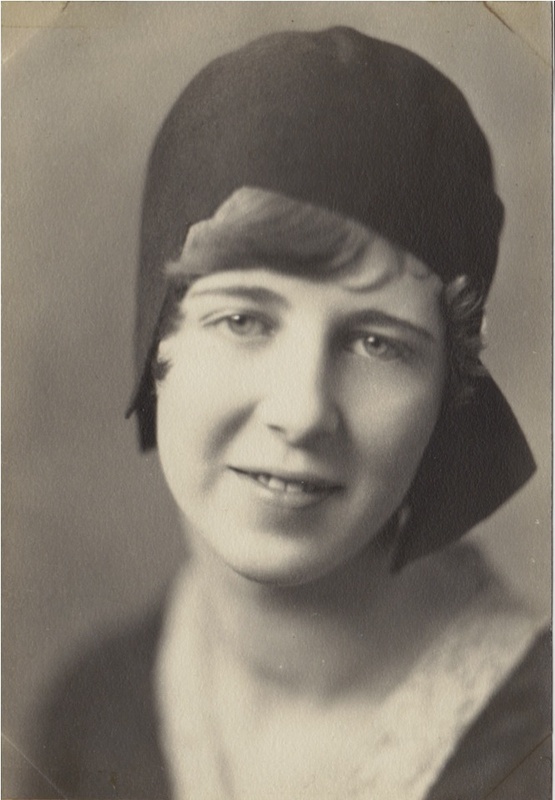 For more photographs of the family of James Jacob Walsted (1886-1956) and Kathrine Christensen (1886-1971), check out my new Walsted Family Album. This entry was posted in Photograph Analysis and tagged 1920s, antique photograph, family history, genealogy, Iowa, Sioux City, vintage photograph, Walsted on August 28, 2015 by Melanie Frick. Gerald Joseph Adam, Sioux City, Iowa, ca. 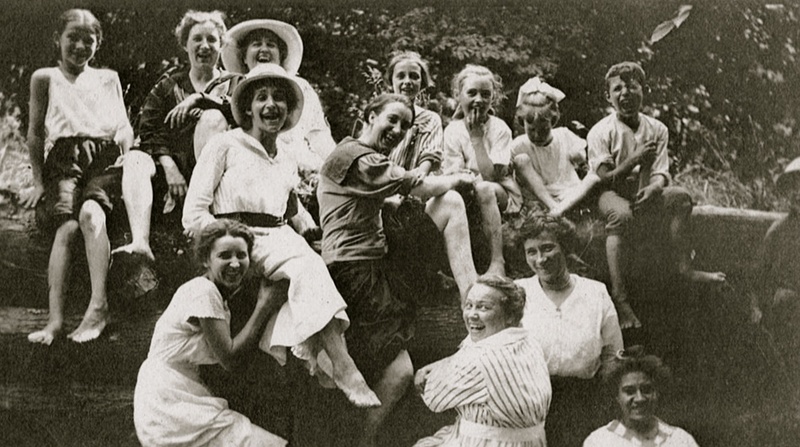 1929; digital image 2012, privately held by Melanie Frick, 2014. Fern Lavonne Thoma, Sioux City, Iowa, ca. 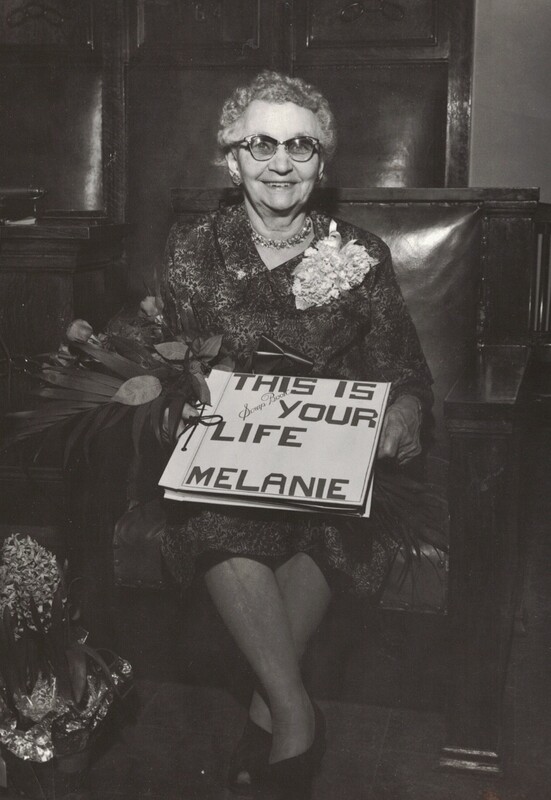 1929; digital image 2012, privately held by Melanie Frick, 2014. From a genealogical perspective, I love it. How often does one have the chance to learn what their forebears knew of their own ancestry? However, if I didn’t already know so much about this couple and their heritage, I might have been thrown off. Jerry’s ancestry was indeed French – and French Canadian, and Polish. Fern’s ancestors, many of whom were likely early arrivals on American soil, can thus far be traced to Germany and the British Isles. 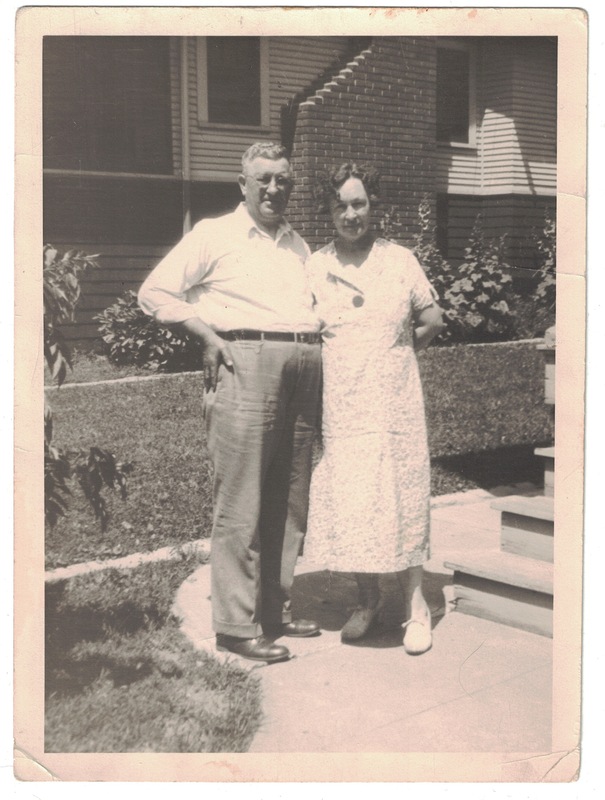 “Iowa, Marriage Records, 1923-1937,” digital images, Ancestry.com (http://www.ancestry.com : accessed 10 June 2014), Gerald Adam and Fern Thoma, 8 June 1929, Sioux City; citing “Iowa Marriage Records, 1923–37,” microfilm, State Historical Society of Iowa, Des Moines. If your ancestors married in Iowa between 1923 and 1937, be sure to visit Ancestry.com’s digital image collection, “Iowa, Marriage Records, 1923-1937,” new this year. This database has plenty of detail to offer, as marriage records included such information as age, place of residence, occupation, place of birth, father’s name, mother’s maiden name, number of marriages, and the names of the officiant and witnesses. It’s also an opportunity to see the signatures of the couple – likely the last time the bride would sign her maiden name. Have you found any surprises in this record set? 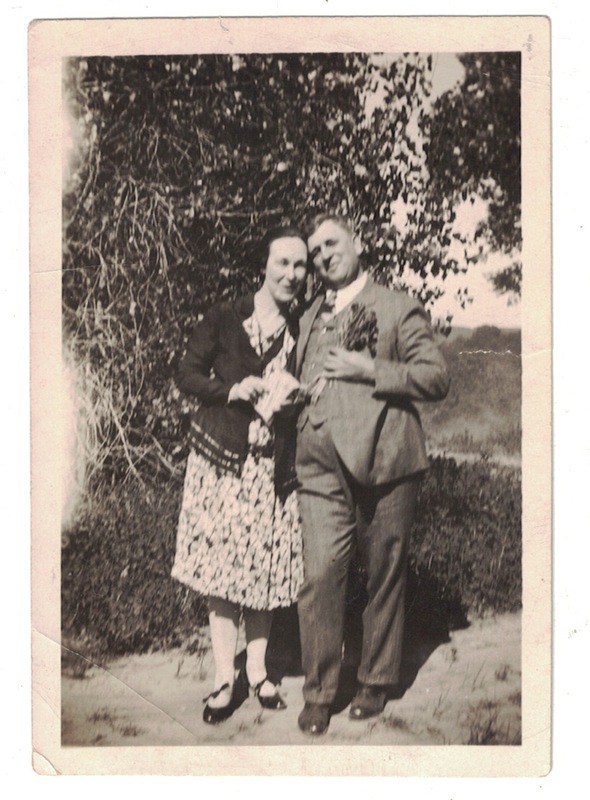 This entry was posted in Wedding Wednesday and tagged 1920s, Adam, family history, genealogy, Iowa, marriage, Sioux City, Thoma, wedding on June 11, 2014 by Melanie Frick.